The other day I was trying to figure out why I have such a hard time staying on track with a healthy lifestyle. I really want to get in shape and eat healthier and I seem to stick to it for a month and then revert back to my old habits. I think a big part of the problem is that I’ve always associate healthy eating with bland and flavourless meals. Grilled chicken and sautéed vegetables have just never appealed to me. It’s a personal goal of mine to work on recipe creation and find flavourful meals that combat my cravings and that I truly LOVE to eat. 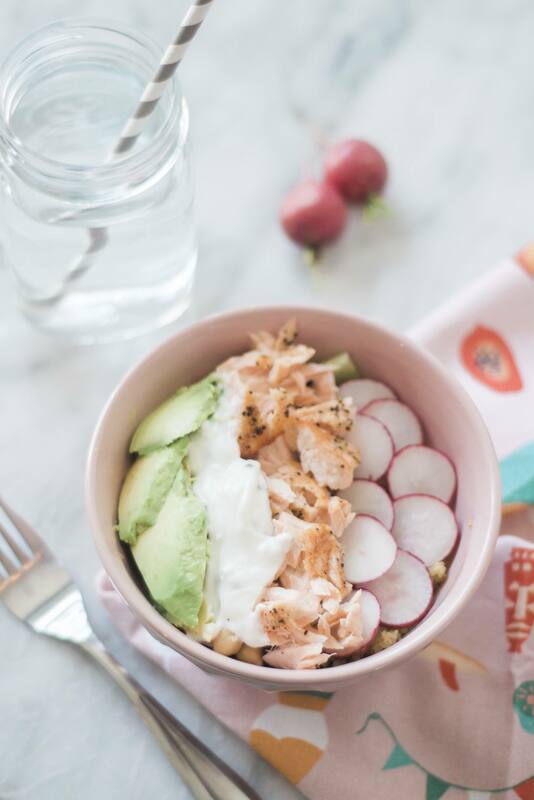 This week I played around with this salmon salad bowl and it’s exactly the type of recipe I need to keep in rotation. 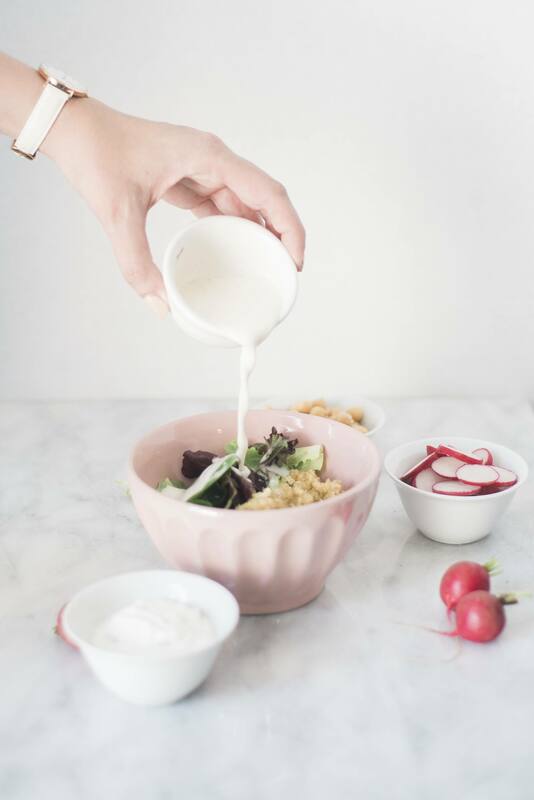 It tastes amazing, it’s healthy and it’s definitely not lacking in the flavour department! 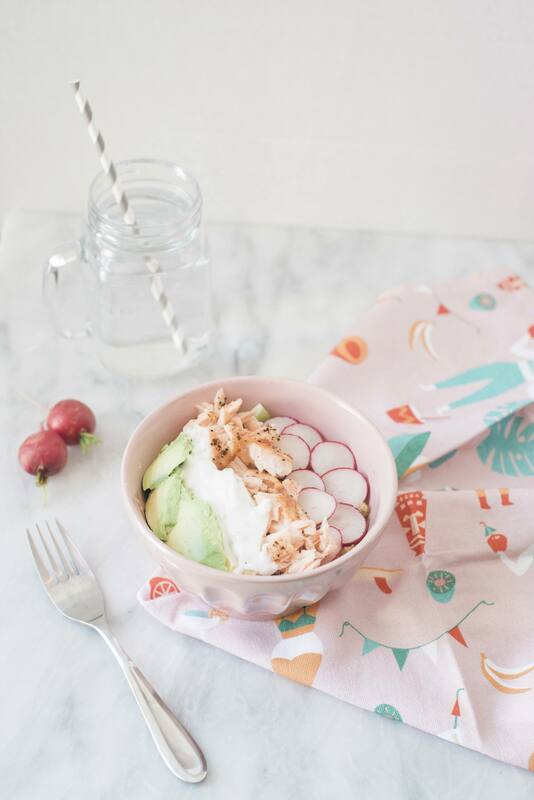 I’m interested to hear what your favourite healthy summer recipes are! I’m short on ideas and would love to try your “go to’s”. Please leave them in the comments below! 1. Preheat oven to 450 F. While you’re waiting wash and prep all produce. 2. Drizzle lemon juice on top of salmon fillets and season with salt and pepper. Bake in the oven for 8-10 minutes. Remove and cool. 3. 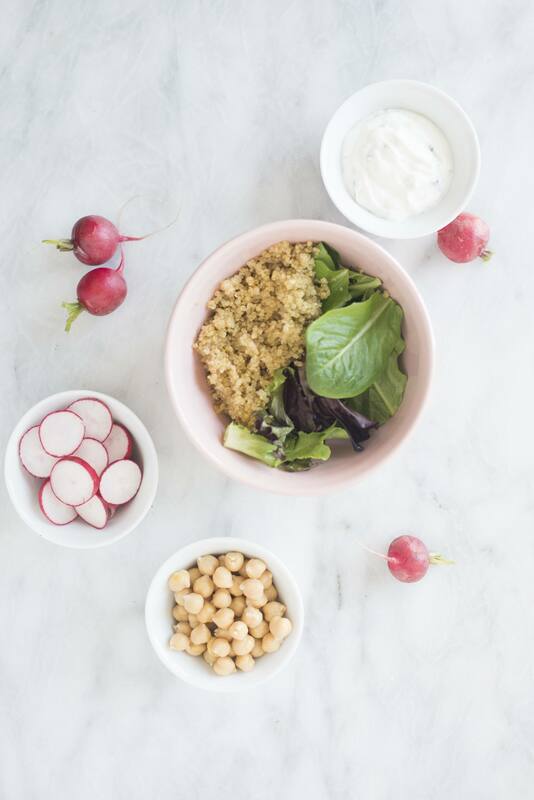 Add Spring Mix Salad and Quinoa to bowls. Drizzle lemon garlic salad dressing on top. 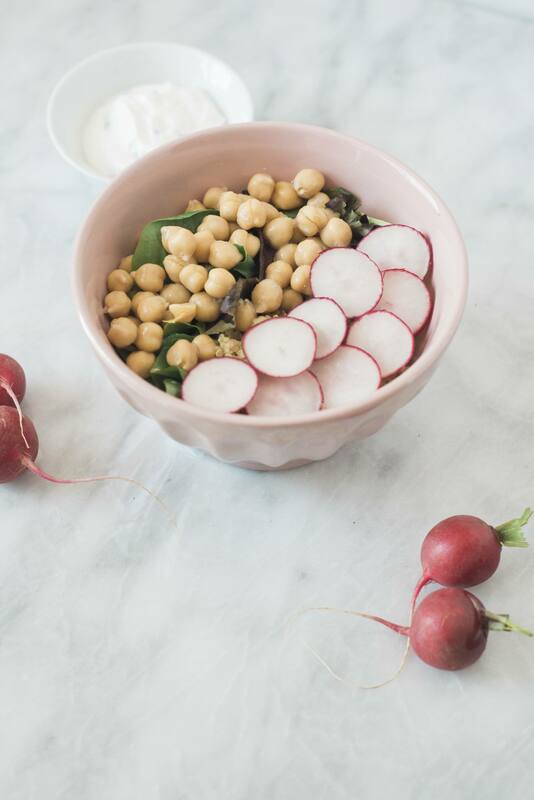 Follow this layer with chickpeas and radishes. 4. Crumble salmon into large chunks in a line down the centre of each salad. Add Avocado along one side and line of tzatziki in between. That’s it! This is so quick and easy to make, full of nutrients and unbelievably tasty. It’ll definitely be my salad of choice this summer. Let me know if you try it!